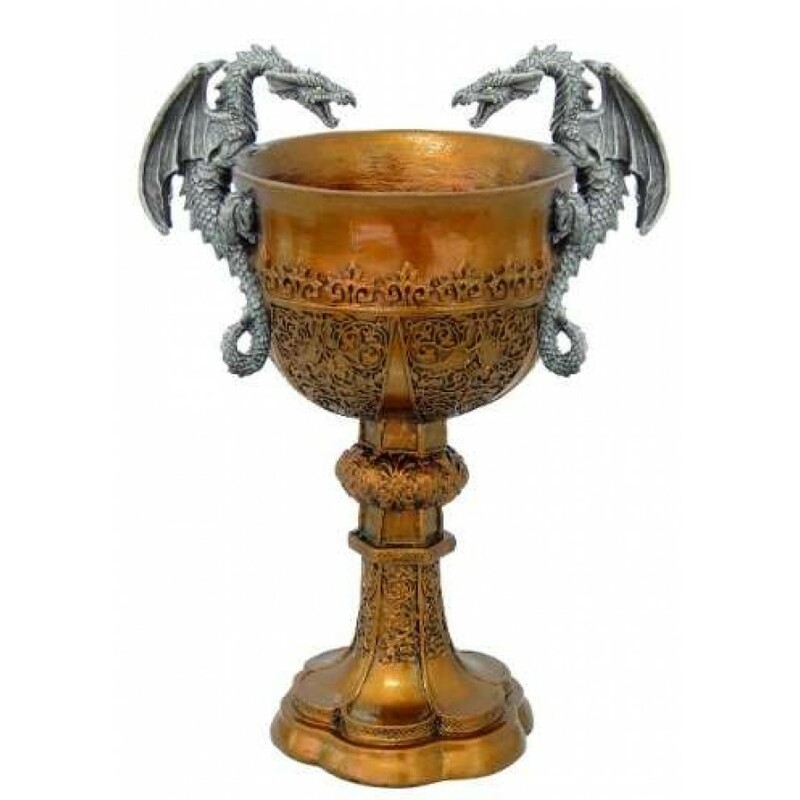 This stunning golden chalice looks like it came right from King Arthurs table with dragons on either side. 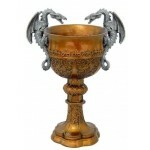 Finely detailed cold cast resin chalice has great medieval style with double dragons guarding it's contents. 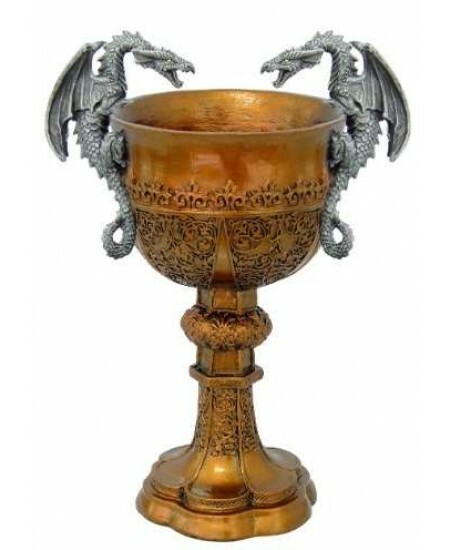 Lovely for your next SCA tournament, medieval feast, or a gift for the Mother of Dragons. Designed for display only - should not be used for drinking. It makes an awesome trophy, planter, or other ceremonial vessel. 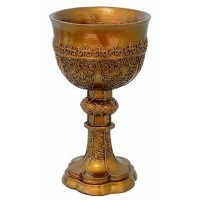 Chalice measures 8 1/2 x 5 x 11 inches tall with hand painted detail. Item Number: PT-11904 | Approximate Size (Inches): 8.50 wide x 5.00 deep x 11.00 high | Approximate Shipping Weight: 2.00 lbs.